The goal of housing corporations and the Dutch government to ensure an average quality at label B level for the non-profit housing sector by 2020 is far from being reached. More extensive measures and better plans are needed to somehow catch up on the backlog. Faidra Filippidou reached this conclusion in her doctoral thesis. The sustainable renovation of housing corporation dwellings is well behind schedule. This is the alarming conclusion of Filippidou’s study into the progress of energy renovations in the non-profit rented housing sector. The number of dwellings that have undergone sustainable renovations is too small, not enough improvements have been made per dwelling, and the actual energy reduction is less than expected. In addition, housing corporations do not have sufficient budget to carry out the renovations. 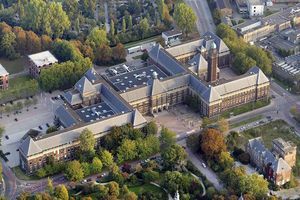 Due to the combination of these factors, the goal set by the housing corporations and the Dutch government – to realise an average energy label B for the whole non-profit stock – seems very far away indeed. The average quality is currently at label D.
The effects of sustainable renovation activities on energy consumption prove to be more limited than expected. The actual energy reduction after implementation of two or more measures is just over half of the predicted energy reduction. 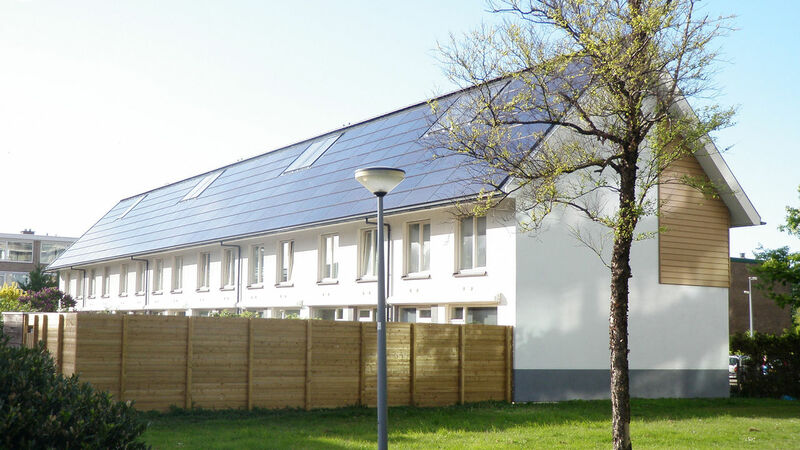 When more improvements are made per dwelling, the actual energy reduction is even less. Replacement of combined heating and hot water systems in combination with insulated glass generate the highest gas savings. The effect of ventilation improvements are the most difficult to predict. The disappointing results are often attributed to the incorrect use of installations by residents, but whether this is true remains to be seen. However, the actual average gas consumption is lower than predicted, and even lower than the average consumption of the entire housing stock. In the current situation, Filippidou does not expect the rate of renovations to increase. Improvements should be made as part of a package rather than as individual measures. Sustainability measures should also be integrated better into the renovation plans. The results that have been achieved by the housing corporation sector are not encouraging for making real sustainability progress in the private sector. Filippidou expects the implementation of sustainable improvements to be even more difficult for owner-occupiers and private landlords than for housing corporations, because this group is expected to be less intrinsically motivated to invest in energy-saving measures and less capable of carrying out improvements. Whether or not sustainable renovation is a viable option largely depends on a whole range of factors, including available budget, expertise and personal circumstances. Filippidou advises to develop a more coordinated approach with tailor-made measures for the owner-occupier sector. Demonstrable savings on energy costs could also help spur owners into action. Up-to-date information from the housing corporation sector may play a role in this respect.